"Streamlined photo editing for amateurs to pros. " Adobe Lightroom is the best large-quality photo editing software I've ever used. I'm a wedding photographer primarily and that can sometimes mean over 2,000 photos that I deliver to my clients. Being able to seamlessly import, edit, and then export with any settings that I desire is crucial to my workflow. I haven't found any program that competes with Lightroom's speed or efficiency. It's easy to customize your photos to exactly how you want them to look. There's nothing you can't tweak or make different. The only thing I dislike about Lightroom is the clone stamp tool. It doesn't compare to the capabilities you have with Photoshop in terms of getting rid of objects in photos. It does the job, sure, if you need something small to be removed, but for large scale things I prefer to edit in Photoshop and then import back to Lightroom. My only advice is just to get it. 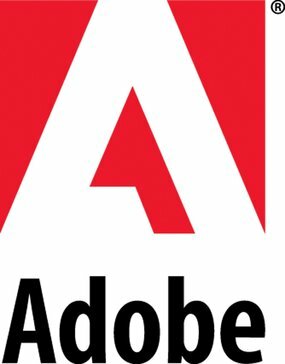 It's a great program, Adobe has wonderful support, and it will save you time and frustration. Lightroom has impacted my workflow IMMENSELY. I can now work quickly through my editing instead of it taking a few days at least. It's a significant time saver for me. It's likely that I can edit more than one shoot in a day because how much time it saves me! "What else is there? " Lightroom is such a great app for editing photos. I have always appreciated its ability to tag, sort and organize as well, but the ability to create and add custom looks to individual or batches of photos is really where it shines. Also it seems with every release things just keep improving. There are several modules within the app that I find completely unnecessary, so unless they make them more functional, I'd like the ability to just disable them and clean up my UX. There are also times when I think it is far more complicated to move and switch between libraries than it should be. So i think streamlining that aspect would be nice. Figure out your best preferred method of managing your photos prior to importing your entire catalog. Then stick with it. It is far easier to sort and organize your photos as you go then to go back through years of photos. Sorting, categorizing and editing batches of photos. Also exporting galleries and making the photos visible to others would be a problem lightroom handles really well. Archiving of older catalogs is also a great benefit of lightroom. "Excellent photo management tool with high end editing features." I like to maintain control of how my photo files are organized on my disks and LR lets me keep that organization. I do like that I can move files/folders around in LR and it will make the change on my disk as well. Keyboard shortcuts make it incredibly easy to switch views in LR and apply ratings. I wish you could choose to have your entire library uploaded and available via the cloud, even if just for viewing, so I could show my photos on a TV, computer or other smart device. You currently have to create a collection of photos, and then you can sync that collection with the cloud to do this. I'd prefer it to be a setting I choose to automatically sync my full catalog. Evaluate what Photoshop Ligtroom does in consideration of the monthly subscription you will pay to determine it's value. Adobe offers affordable plans for people interested in only Lightroom in addition to very useful (and free) companion apps on iPad and iPhone. LR makes it easy for me to catalog my travel, landscape and family portrait photography, creating edits and applying keywording. "Lightroom has changed the game for batch editing." Batch editing. Hands down. I love that I can make my own presets as I edit portrait sessions.This has helped me cut down my culling and editing process considerably over the past few years. What used to take hours of work and eye strain is now simple, and I'm forever grateful. The only thing I would change about Lightroom is the visual design. If they added light mode / dark mode option, it would be the icing on the cake. But honestly, other than that small tweak, I wouldn't change anything about the product. It's been a game changer for me and my business. Do it. There's really not another program that compares. Its ease of use + constant improvements make it an invaluable asset for your business. Lightroom allows me to edit photo sessions for clients in about a quarter of the time. I used to spend hours on one portrait session, and now I can breeze through simple sessions in about an hour. Lightroom has honestly given me my life back and has made my job a breeze. Additionally, I'm able to package and sell my own Lightroom presets. Not only has this introduced a new stream of income for my business, but it has also expanded my reach to new potential clientele. I love being able to help other photographers dive into Lightroom by utilizing this feature. This has made Lightroom an invaluable asset for my business. I absolutely love all of Lightroom. I work as a wedding photographer and do all of my editing within this software. It allows me to bring my photos to life and to complete a finished product that I'm really proud of. I love how much I am able to achieve in Lightroom. From color correction to shadow play to enhancing pupils, Lightroom covers it all. The only improvement I would like to see in Lightroom is within airbrushing and object removal. I find that these tools often fall short in achieving what I'm after. Both tools could benefit from being more sophisticated. For any new photographer out there or someone who has switched softwares, Lightroom is an incredible source that will instrumental in your development as an artist. Absolutely everything! Without Lightroom, I would not be able to put my artistic stamp on my work. It makes me photos feel finished, unique, and completely my own. It also has allowed consistency and a sort of brand to my photos in that I've been able to create presets and saved edits for future use. "Great App for Batch editing jobs"
Adobe lightroom helps me deal with my library full of images for edit. It makes it easier to handle such a huge sum of images and make the job fast! I love that I can manage and handle a large image library all at once. Also, all its adjustments are non-destructive so your original file stays unaffected! The best is that I can copy my adjustments, enhancement or repair and apply them to the other photos instead of editing each photo individually which it fast, efficient and powerful. I don't like that in order to import photos I have to create a new folder every single time which also consumes space on my pc because it duplicates it. In other to time consuming especially if you need to do edits in a quick manner. When looking for the full features of Adobe Lightroom, I would really recommend getting the whole Adobe CC suite. Alongside being a marketer, I manage social media accounts and also some products will need some touching for different brands in the home accessories industry, adobe Photoshop Lightroom comes in handy whenever I need quality photos for our brands. It has really sets the accounts that I manage apart from its competitors because the standards of our images are clearly different and just a lot more professional-looking. Adobe Lightroom inventories enable me to rapidly and productively split up by various criteria. It accelerates the procedure and shields me from utilizing just organizers and records in my discoverer. I love that I can manage a large image library. I have the ability to work with a large number of photos quickly and apply basic edits like photo enhancement or repair, it’s fast, efficient and powerful. Also, all its adjustments are non-destructive so your original file stays unaffected! The best is that I can copy my adjustments and apply them to the other photos instead of editing each photo individually. I don't like that in order to import photos I have to create a new folder every single time. It's time consuming especially if you need to do edits in a quick manner. If you are considering purchasing Lightroom, I would recommend also getting the Adobe CC suite. Lightroom lacks features in photo editing that you would need to do advance editing. It's really easy to use and get familiar with. Definitely use it in conjunction with photoshop to get the best quality edit. The software allows me to edit large batches in a fast and efficient way. It's streamlined the editing process for me. I love every single thing about Lightroom. I use it to edit every single photo that I use on my website and social media. Lightroom is the easiest platform for editing professional photos. My favorite tool is this tool that allows me to select a certain area of a photo and adjust the settings for just that area. I always use this tool to enhance eyes or whiten teeth of models. Lightroom also allows you to edit more than one photo at once which becomes super helpful. I dislike how I can only import photos that are in a folder. It's super annoying when I have to create a new folder any time I want to import. Lightroom is absolutely essential for any business that has photos. So, any business. I highly recommend searching up how to whiten teeth and you learn about this super helpful tool. Now I don't even use the tool to whiten teeth, I use it for popping eyes out with more color, making skin less pale, making dark spots brighter, etc. Before, Lightroom, I'd have very boring photos that would not look professional. After Lightroom, the photos I took looked so much better. I've learned to cut down a photo's editing on Lightroom to like 5-10 minutes. "Must Have for Batch Editing"
I like how easy it is to quickly apply basic edits like exposure adjustment or contrast boosting to a large number of photos. If I took several photos in similar lighting, I can copy my adjustments over making the process extremely fast! It's perfect for editing in a hurry. Being a complex program, it runs a bit slowly. It has all of the features I need, so if speed were improved, it would be perfect! If I try to use Photoshop and Lightroom at the same time, my computer freezes up. There are times when using both would be beneficial so I think streamlining the software would be very beneficial! I would go with the Creative Suite because there are often times to use Lightroom and Photoshop together. Especially if you plan to use the software for advertising, you will probably end up using many Adobe programs. Editing photos in a timely manner for advertising and maintaining a cohesive look amongst a set of photos. If I take many photos in similar lighting, I can apply all of the edits in one go saving tons of time. "Best fast paced photo editing and organizing tool"
I really love that it can be a one-stop shop for importing, organizing, and editing batches of photos. Also being in the Adobe sweet, you can use a dynamic link to bring one or two photos into photoshop, make more advanced changes, and have them all sync back into Lightroom. I dislike how much power it takes to run on my Macbook pro. Granted it's a 2015 model, but for photos, I would expect it to be a little smoother. When looking at Lightroom, I would really recommend getting the whole Adobe CC suite. Without it, you will lose out on certain features. If you had to go for just one, definitely look at Lightroom Classic before getting the newest CC 2018/19 version. At work, we frequently need to capture portraits of team members. Lightrooms catalogs allow me to quickly and efficiently split up by different criteria. It speeds up the process and keeps me from having to use just folders and files in my finder. There are so many things you can do to edit your photos in the best way possible. This isn't just some mundane editor; you can tell the developers put a lot of thought into creating the app. The features are surreal and the quality/result of your images afterward are always so amazing. I love the "clarity" feature the most because it makes images really clear and crisp compared to other apps. I usually feel like after editing an image with Lightroom the photos look like they were shot on a professional camera and not a smartphone. Perhaps, I wish it had fun filters to give options to those with a more creative or whimsical side. Other than that, it's a pretty good app. Alongside being a developer, I manage social media accounts for different brands in the media and beauty industry, sp Photoshop Lightroom comes in handy whenever I need quality photos for our platforms. It has really sets the accounts that I manage apart from its competitors because the standards of our images are clearly different and just a lot more professional-looking. "Lightroom is a must for quick editing"
Lightroom is so easy to use and is great for doing quick edits on any photo. I love that I can use presets to get different look s & feel or to create a similar feel through a series of photos. The only thing I dislike is how the destination folder works, I work on a lot of different client projects at once and often forget to change the folder making it easy to misplace photos in the wrong place. Lightroom is also missing some of the deeper editing features that Photoshop has such as levels, Lightroom is great but these features could improve it. Don't replace Photoshop but this is a great product to have as well. "JUST AMAZING PROGRAM TO MAKE YOUR PHOTOS LOOK STUNNING "
I just love everything about Adobe Lightroom. The fact that it makes photo editing so seamless and the result is always nice, plus the preset, and the copy & paste changes to all other photos. There is nothing else compared to Adobe Lightroom as I have been spending yearssss retouching photos using Photoshop and Adobe just made it a much more efficient process with Adobe lightroom! Maybe if importing photos were a bit easier, maybe something to find our photos faster instead of having to look for names would be nice! Other than that I don't think I have anything I dislike about Adobe Lightroom. it' super easy to use and get familiar with the program shortly. If anything, just look at Youtube tutorials online and you will be good to go. Trust me, this program is amazing and you will love it right away! At our company we sometimes have to take real life photos pictures of products and applicances and retouching is one of the must in our post-production process. It definitely helps with our branding, our social media engagement and many many more. "Lightroom helps me make a living "
Great raw editing. Great filter/action editing. Both of these aspects are better than the ones in Photoshop. I love that I can easily keep my photos organized for client ordering, archiving, etc. And the output options for exporting, printing, etc are super helpful and convenient. Also love that I can easily open images from Lightroom in Photoshop, and save them back into LR. The retouching abilities are not great, but that’s what I use Photoshop for. I hate that going forward or back when browsing from photo to photo is included as an action that can be “undone” when hitting command+z. Sometimes the Library/Collections vs. display of actual folders on my hard drive can be confusing if I’m not being careful. I make a living with my photography, and Lightroom makes my processes that much more efficient. I’m able to batch process photos which saves me a lot of time, and keep everything organized which is very important especially when juggling so many clients. "Solid Editing Experience; Organizational Usability Lacking"
I love the ability to quickly make small edits to my photo library, and many of the features are powerful, yet I still find myself relying on Photoshop for heavier tasks. I also like the integration with Adobe CC. I also love that it integrates seamlessly with the Adobe Lightroom CC app for iOS. The organizational structure is pretty terrible; it's hard to intuitively organize your library, add tags, ratings, etc. It really could use some streamlining to be more user friendly on the Mac, otherwise it seems more efficient to just organize files using Finder, then make quick edits in Lightroom. We create original content for a nonprofit website, so we deal with a lot of photos, and it's great not to use stock photos, but I find myself relying on Mac's Finder to organize more than Lightroom. "Perfect for correcting and adjusting image sessions"
It allows you to completely correct the defects of light, shadow, contrast, sharpness, whites, blacks, tones and many other options, some more complex than others but all very useful and well elaborated so you will always have a professional result. When you import a complete photo session you can apply the same settings to all the selected images without major problems and you can discard those that do not comply with the minimum requirements without any complications. I have not been satisfied with the options of importing photos, because when you want to take a single image automatically the software has already selected all the images in the folder, the interface is not so comfortable to work and it takes time to understand its use and functionality. It is important to have a basic knowledge about editing and correction of images, so it will be much easier to understand the options available in the tool and to obtain an acceptable result, otherwise you could make unnecessary adjustments and corrections in many images which will end up making the editing task. All images of furniture renders must be adjusted and corrected for their presentation prior to the production of the prototype, in this way we ensure that their appearance is as professional as possible, in addition the advertising images of each product for the definitive catalogs also require correction and adjustment so that they have the level required by the company. I love the ability to batch process images in Lightroom. The easy sliders to adjust aspects of the photo are invaluable to me. Being able to see pre and post edits is really great. Copying and pasting edits is an enormous time saver. I love the HSL sliders. The ability to use LUTS from Premiere Pro is phenomenal, as I have purchased a few of those. The Lightroom mobile app is phenomenal, and if you have the desktop software, it is a total must-have. It's a super easy way to edit photos on the go and share them to social media. The two apps sync back and forth, and that is also super great. It's got great opening tutorials for new users as well. It's very easy to learn and use in a few minutes, but also has a lot of pro features that you can learn to speed up your workflow. I dislike that Lightroom is a bit slower on slower computers. I would like an option to show the images in lower quality, in order to speed up performance. I'm confused by the fact that there's two Lightroom programs, I haven't even tried the new one. Get it! This is the best photo editor! I love using it, and you definitely will too! I'm solving the length of time that Photoshop takes to edit a photo - in Lightroom I can edit six photos in the time Photoshop takes to do one. "corrects an image in a few minutes obtaining an incredibly professional result." The ease of using the corrections tool palette is very precise and allows you to manage many options to correct very complex aspects such as light, shade, intensity, sharpness, when you insert a camera card it generates an albun allowing you to select and discard photos less attractive and edit a series of photos continuously applying the same settings for each one extremely efficiently. At first you may have some problems to understand the correct use of the interface in the library area, reveal, map, book, just as to save the result you should learn to export since it is not saved in a traditional way. It is not very useful if you only plan to correct an image, since it is programmed to always make a catalog of images. They should keep in mind that it is an ideal program only for editing and correction of many photos and images, it is not a program of complex interventions, collages or illustrations. After making renders, architectural visualization, and photographic record of architectural projects on site, editing and correction is essential so that the client is satisfied and to make the appropriate advertising images and projects promotion, with Lightroom you can do it in a way very efficient by applying preset settings very fast to many images and generating a catalog with only the best results. "Lightroom is an easy way to quickly edit photos"
Lightroom is faster than Photoshop because you can batch edit, if the lighting and exposure are similar, but also faster because you can easily make precise adjustments to large or small areas. It is extremely easy, when shooting raw, to bring your highlights back into a photo. It is also easy to spot-adjust for color or exposure. The program crashes fairly frequently, but it could just be my computer. It is pretty easy to learn to use this program. There are plenty of YouTube videos if you get stuck. I can edit large numbers of photos much more quickly because in Photoshop, each photo has to be adjusted and saved separately, but in Lightroom, they are exported as a batch, and the original information is preserved in case I ever need to go back to the original file. "¡Excellent program to edit photographs in digital form!" Excellent program to edit photographs in digital form. It allows me to modify, improve, design my photos. I like Lightroom because it offers a database where I can organize and save my photos by dates and have location references where I want them to be on my computer. It is very useful and easy to use, just by clicking on the buttons and start designing the image to my liking. For example, create the profile, I can make adjustment in the color, if I want it in black and white, classic or basic. In addition, the effects, if I want it clear, in haze, granulate, etc. Your approach, if I want to change the figure from square to vertical, horizontal or distorted. I can rotate the photo image, flip it, move it in X or Y. To design the photo, this program offers two modules, one on the left side where there is a tab to view all the photos you want to import from a memory card or from the hard disk and offers another module on the right side to adjust the tones and activate the profile corrections and changes that you wish to apply. There is not much that I do not like, since it is a new program for me, it is difficult for me to perfectly use the concealer brush. It only has three tabs in numerical form that do not tell me much about how to appreciate or change the image. Another thing that for updates in other functions has a cost and you have to pay a lot. I recommend lightroom because without being a professional graphic designer it gives me simple tools for its use, from organizing, editing, modifying and sharing photos from anywhere, whether on the computer, on the web or on the mobile device. To download, you should only have one connection on the network and in the hard disk space. Great and very intuitive because, in addition, the original photographs are not destroyed or modified since the changes you make in your photos are stored in the program's database. Lightroom is a tool that contains all the settings you need to redesign a photo. It's a simpler way of doing things, you can see, discard and organize all the photos. In addition, it helps to organize everything related to the catalog images; from a computer. From there, you can select the photos you are going to import into the program database. It allows you to modify, create different versions of the same image without losing the version of the original photo you have on your hard drive or in your Lightroom catalog. Another benefit is the wonderful thing about being able to apply effects on them, the color temperature, the gray scale, the contrast, the fill light, the white balance, etc. It's great because it has several views of the same image with different revelations without having to duplicate and the new photo will contain the settings made in Photoshop. I love it because once I take pictures of events, conferences and meetings in my place of work, I can correct any defect in the camera because I can make the modifications I want in that application and when it is ready, I select the file and save the photos It is important to keep in mind that photos can be stored on your computer and that when you import them, they will be automatically uploaded to your account in the Adobe cloud. You can also create a template with all the personal data we think necessary in the new photographs. "Adobe Lightroom, the perfect tool for almost everey photographer"
Without any doubt, the best feature of Adobe Lightroom is its simplicy. It only took me a few hours to get used to the user interface and almost all the tools included. But it doesn´t mean that the programme is incomplete, it has all the tools that a medium photographer would need. Furthermore, the software is divided into a few modules, like the library (where you can import the files required and classify them in plenty of ways) or the reveal one (the most important). Definitely, I really like it and use it for proffessional work. Some of the modules, like the book maker, are incomplete regarding the use that I would like to give to them. I think that they tried to make it so easy that they ended up with an useless "pdf-maker" (I only use it to make quick pdf to send to my clients so they can decide which photos they like). The truth is that I would really like to make the photo albums inside Lightroom, but It hasn´t tools enough. If you are a proffessional photographer or even if it´s just your hobby, lightroom is the perfect tool for editing your photos. I previously used the raw module of photoshop to edit and retouch my photographs, but since I discovered Lightroom I moved to it because it is quicker and much more intuitive so I it helps me to save time. Also, the editing process in Photoshop wasn´t as comfortable as I would like and thanks to this software now I´m able to make more money in less time, having a more efficient workflow than I had before. "If you are a professional photographer, you need this software!" I can use this software for 95% of my production work as a professional photographer. I use it to upload, cull, edit and rename my images. I can also quickly edit in Photoshop without closing the program. And it's great to use with RAW files so you can make changes without hurting your files and then export as a jpeg to whatever size(s) you like best. I can also make a set of proofs with a custom watermark to post online. It has everything I need! Like every other software program out there, you need to upgrade periodically to stay current with your OS and cameras. But upgrading can still be pricey. Do you shoot RAW? Or even if you don't, Lightroom has the capability to download, cull, edit and export images faster than any other program out there. You can also use it with presets to help cut down on time with your editing process. It so easy to use and there are so many things you can do with it including slide shows and online viewing. Worth every penny! I can quickly cull & edit my images in Lightroom faster than I would be able to by using other programs. It has saved me hours and hours of time each week. My absolute favorite thing about Lightroom are the presets! If you edit a lot of the same kinds of images (photos taken in a lightbox, for example, where the lighting and composition are all the same) presets are a godsend. I can blast through editing dozens of product photos in a very short amount of time by simply using presets I have created and then just doing a couple of little tweaks. Nothing. I LOVE Lightroom. It does exactly what I need it to and it forms the basis of all my photo editing. If you have lots of photos that are similar in terms of lighting and composition, consider creating your own presets so you can do your basic edits much more quickly. Lightroom has cut down on my workload dramatically. It has also helped me organize my photos really well and, as long as I am diligent about tagging, I can find anything I'm looking for quickly and easily. Also, those tags upload along with the photos, making my life a lot simpler! As a photographer I can do a LOT in Lightroom much more quickly than I can in Photoshop, especially if all I need to do is just tweak a few settings and don't have a lot of major things to correct or change. I can very easily and quickly boost color, change all levels, switch to black and white; whatever I need to do. I can also do a number of masks which I use frequently to soften backgrounds, sharpen eyes and lips and just make things "pop". My favorite though are the presets. I have downloaded loads of free ones and have created many of my own that I use frequently. This is an incredibly powerful and useful program and, more often than not, I find myself using it instead of Photoshop to edit my photographs. There can be quite a learning curve as there are a LOT of things that can be done. This, however, isn't a true complaint, it just can take a bit of time to learn how to use Lightroom well enough to streamline your workflow. Go online and find some tutorials. There are so many incredibly useful ways to organize your work but it is really tough to learn them intuitively. Tutorials are invaluable in getting the hang of Lightroom and there are plenty of free ones. I can make a lot of changes very quickly and easily, which considerably lightens my workload. I can automatically add watermarks (either simple text ones through the program itself or by uploading a transparent image) very simply and quickly. It is indispensable for organizing my work and I use it for everything. "Best tool to edit my photos"
I just love everything about Lightroom. I used daily to check, edit and share the photos that are a part of how I'm as a person. So many features, so many ways to improve, to be a better photographer. I fell for this since day one and is a MUST have for everyone that loves taking photos. You can even select automatic filters if your feeling lazy, but must know that this a is a killer way to take your photo work up to the next level. Since I started using this software my work changed so much, it got so much better, so good looking. I LOVE this. Please, take the advice and download this, you will not regret it. So easy to use, to understand, to work on your projects and to share them. It can be a little difficult at the beginning with so many tools, but once you get use to them, the sky is the limits for your pictures and work. Please get this. If you want your photos to look amazing, this is just to much to pass. My own personal brand. This helped me extend the knowledge that I previously had about photography and took me to another level, helping my social media grow up like I never imagine before. The work I handle here even helped me get new jobs. I love that I can upload folders, plugins, and general breakdowns of how I want to edit my photography. Then I can one click batch process said folders of photos and review in real time before exporting into the correct format needed for the next step in post, This is an extremely useful tool. Plus you can download and set other presets from other artists to push your limits and expand your creative ability quickly and easily. You can also easily pass work down without much confusion on where the last person left off or where you need to begin and complete a project! There isn't much to list that I don't like about the software. It would be nice to have the opportunity to purchase a base platform without having to pay for the monthly subscription. The ability to easily plug into your folders and hold onto this information is invaluable but it would be nice if the software was intuitive enough to realize there are folders it has once worked with in the past maybe? If you have a lot of batch processing and editing to complete this is the software for you! When we participate in event coverage its usually daunting once back in the studio. To organize everything and get it to a working point was a struggle. Lightroom has been completely streamlined this workflow and it is no longer painful to edit anything after the fact. "Lightroom? Yes, it's a good thing for the PS user!" So let's say you've done a shoot in a cemetery. For the final product you want black and white images and high grain. You can achieve this more precisely than with PS and apply to multiple photos then finish off in PS! GOAL! While I do like the precision of LightRoom there is some clunkiness in the interface. It's become better but still it's not as inutitive as Photoshop. Onnce again do the tutorials! I'd like the interface to become more intuitive and for the Exporting to be a bit easier. It took a few screw-ups before I totally got the Exporting to PS down correctly. Also, when there is an upgrade there has been a loss of presets. To say the least that can be a problem. Last but not least, please, please, please a quicker launch! I shoot a lot of abandoned buildings. Yes, I like my images to be crisp but at the same time I like my work to have an aged look. Whil I can do this to a certain extent in PS it takes longer and the precision just isnt there. LightRoom allows this precision and because I can save the settings for one pic I can assign the same settings to all the photos if I wish then export them all to PS with no hassel. GOOOOAL! Photoshop Lightroom allows you to quickly enhance the beauty of your photos and compare before vs. after and final print views easily all in the same app. Sorting photos and choosing favorites is also effortless. Everything is very intuitive overall and the application is fast to learn. For more advanced spot removal, it is best to go to Adobe Photoshop instead. The application also can lag when some types of edits become more complex. Frequent refreshing of the catalog can be required to help avoid lags. Can easily be your only photo editing application. Used by many professional photographers as their main editing software. Creating professional images for advertising, banners, and more. Editing raw photos into professional photos that can be used for marketing. "Used it for years, but it has issues." Intuitive controls for RAW image processing, great cataloguing features, good all-round editing software. As a professional photographer, it makes up 90% of my workflow. Software is only available on a subscription basis - no option to just buy the software once. Often prone to crashes and is very slow, even on a well-powered machine. Customer support leaves a lot to be desired - usually giving about as much help as 'have you tried turning it off and back on again'. Can be very temporamental and I've had periods where the software has simply refused to run for weeks on end with no apparent reason. Photoshop Lightroom allows me to edit my RAW camera files, so software which can do that is a must for me. However, there are many other capable software solutions popping up to do the same thing, and I may consider switching to those in the future. I absolutely love the capacities of what this software can do! It provides subtle retouching (or drastic) without compromising the quality of your photos (if you shoot in RAW especially). I also love its ability to adjust your lens' distortion. Plus, presets can elevate your photos even further from third-party vendors. I dislike how long it can take to load photos into your library or render a given image, but that is more on my end due to processing speeds on my computer. For how complex it is, it's understandable that you will need a fast processor to make your workflow consistent. Otherwise, I don't have any complaints about it. I absolutely recommend Lightroom for any semi-pro photographer who is serious about creating a consistent portfolio that is organized, can be tagged with metadata, and shows a constancy in their work. Lightroom can provide the "branding" of your artistic style through how you choose to edit. Lightroom makes photo editing quick, easy, and painless. It is easy to adopt a workflow, create your own presets, and fine-tune any given aspect of the photo you're editing. It takes the complexity of Photoshop and takes features such as blemish removal, red-eye removal, cropping, and angle adjusting in an easy, intuitive panel. "Photoshop Lightroom: more functions, small package"
Photoshop lightroom is one of the best photo editing tool out in the market. As a photographer, I have to use this tool almost everyday. Photoshop lightroom provides different functions to retouch your raw pictures. There are hundreds of preset filters available for lightroom. Another feature of this software is that it is really easy to use. User interface is straight forward unlike adobe photoshop. Any user can upload and edit their picture easily using lightroom. This is the best tool for beginners. Although lightroom has many features, one thing adobe needs to consider is the pre-defined filters. There are no built-in filters available. Users can build their own filters but it will be easier to add filters in the software bundle. Another feature lightroom should work on is merging pictures of different exposures. If you are a novice with photography this is the right tool for you. Photoshop lightroom can expose you in the professional photography. Any first time user can learn lightroom easily without any pain. For my recommendation, I would suggest to start using lightroom without any hesitation. I am mostly using lightroom to develop and retouch my pictures. As an independent photographer, this tool is very handy to me. Lightroom is very fast and I can edit pictures very easily which is the best benefit for me. Lightroom also have a smartphone version which can be install in your phone too. "Lightroom is great for everyone from pro's to beginners"
This program offers flexible options for editing your pictures to make them truly your own, and the best feature would have to be cross library access from any device with Adobe Cloud Services. Lightroom is excellent in workflow design and utility, there are so many features included in the program it gives the user enough creative freedom to make a unique product if they know what they are doing. It takes a lot to run this program, and it can sometimes have unexplained problems even on good workstations. There is no way to use lightroom for a well balanced HDR which pushed me to another program. Have a computer you know can handle the program, especially with professional editing you'll need some power. The benefits of using lightroom are vast. It allows me to offer a fast turnaround on my edited products for my clients to get what they paid for faster. And it saves your progress in the catalog to make it easy to recall to assignments you may have completed earlier in the year. I go on social media a lot and sometimes I purchase the presets that other influencers are using so that I can get the same looks for my clients' social media pages and also my own. So that means I can do the same effects as brands with just one click. If I am feeling a vintage camera look then that's just one click away. I can select all the photos I would like with that edit and paste that preset to them all at once. Lightroom is only free for a month and then you have to pay. The cheapest I have seen is ten bucks a month and they have been making everyone move to their subscription based services. So you have to pay every month instead of one flat fee like before. The adobe website has a lot of free presets to mess around in, and if you go a quick google search then you can find presets to play with. If you are social media such as instagram a lot and follow influencers then you'll see they have a certain style of presets they use and they frequently have it for sale for an affordable price, so you can mimic what they doing with your photos quite easily. Handling the editing of multiple clients accounts images and producing a quick turn around on images is a plus! Doing this on photoshop would take me hours and now I can enhance my images with a magic wave of the lightroom wand. "Best Program to Batch Edit"
I use this mainly for batch editing photos. The ability to apply a preset to hundreds of photos at a time. I can also save the same presets for future projects so that when I want a certain affect then all I have to do it sync the photos or batch edit them. It has saved me hours in editing time. Photo editing that would have taken me hours now takes only minutes. I dislike the fact that you can't layer with Lightroom. Adobe bundles their photography editing package with photoshop which gives you that ability but sometimes you want to do something that involves quick layering but Lightroom doesn't go beyond that. There are lot of free presets out there, so play around with those, especially if you are in the photography business and like the look of old analog cameras. Also have fun! This is a fun and exciting program that let's your creativity shine, so play and have fun! They have fast easy web books, slide shows and galleries. If you use smugmug like I do then you can easily integrate it with each other and upload your edited galleries with ease. "Get Your Photo Edited in a Flash!" Presets capabilities. I love all the lightroom users out there sharing their knowledge and their presets. You don't even have to work up a sweat doing it yourself. See a style you like, purchase or get a free preset and you have a great foundation for editing. Nothing beats batch editing as well. Select all and edit the entire batch of photos with a couple clicks. You can't beat that. I remember before when I would edit each photo one by one, man I feel sorry for my old self having to waste my time like that. Their new version is slow. They say it's not slow but check any chat room and they are still talking about how great the improvements are but how it's slow. Especially in the previews, it lags. You want to see your photos fast, but at least as fast as the previous version they had. Don't go backwards when it comes to speed, only forward Lightroom. Never used this before, well try their free month long trial. Google some presets, pick one you like, get started and start playing around with all the functions! Getting photos out to clients in a flash. I can edit photos the same day that I have taken them. My clients are happy with m y fast results which means repeat business! Lightroom doesn't eliminate the need for Photoshop, in fact because it comes from Adobe it integrates well with it. It supports Adobe Camera RAW which is the same processing that Photoshop uses. Lightroom can be thought of as a management and quick editing tool for photojournalists.Lightroom is an image management and editing program also developed by Adobe, the same folks who created Photoshop. Using Lightroom, photographers are able to work through their images from import, to sorting and organization, to processing, and finally all the way to export and sharing on the web. The things I do no like in lightroom is there is no layers or blend modes and minimal graphic design elements like adding text elements or making advanced collages also limited editing options. Very easy to use and it does not support as much as Photoshop does. I use it for light photo editing as it does the same things as Photoshop. It is very easy to use, so I use this instead of photoshop for light editing. "The best photo software I've ever used"
Lightroom is the most widely used photo editing program by pro photographers for a reason — it's the best software out there. The interface gets extremely granular so you can make fine-tuned edits to photos, but it's also very usable for intermediate users. The organization and tagging system works great as well. There are numerous beneficial features that I haven't even used, like their cloud services. I discover new, valuable features every week. Because of the robust features of the program, some may find that there's a steep learning curve. Watch tutorials online to help you get up to speed with Lightroom's more advanced features. I depend completely on Lightroom for editing concert photos for my job. These photos are taken in less-that-idea lighting situations, but Lightroom helps me get the best photo I can out of what might have been a mediocre RAW file. I like how easy it is to edit a single photo, then apply those edits to a series. I also love how easy it is to do spot removal. It’s magic how it can blend the area so you have no clue. I also enjoy the fact that they have an iPad app that syncs through the cloud so I can for on any device without need of transfuring the photos from device to device. I dislike how different some of the workflows are between applications, but it is gettting better. I know there are many other photo editing softwares out there but you will not find a design suit like Adobe. Their products integrate together so well that it makes big projects much more manageable. I do a lot of product photography and Lightroom allows me to edit a series of photos in a blink. Lightroom is a great editing platform. It makes it very easy to not only edit your pictures, but save your presets, and apply them to all of your other pictures easily. The whole process of editing a photo is made very easy with the ability to save presets. I save a lot of time! Lightroom also presents the color quality of the pictures, and provides the best looking, altered photographs. I like that lightroom allows me to build a repertoire of photographs and accumulate a library. I take a lot of pictures, and sometimes I forget to run backups of the software. I have run into the problem of having too many pictures in the library, but its a pretty simple problem to fix. As a photographer, lightroom allows me to give my clients well-edited, high-quality photographs. "Lightroom is essential for any photo professional"
Lightroom helps me efficiently go through thousands of photos from any given shoot in a well organized and powerful program. The preset feature really transforms my workflow when editing allowing me to do highly intricate work on a large batch of photos. The end results from this product are photos my clients are blown away by. Lightroom has a learning curve, much like the other adobe products, which took me a while to learn specific intricacies about the program. The application is powerful but only when I have adjusted the ram optimization in the program settings which is hidden to most users. Lightroom is for professional users who care about every aspect of the photography process. It is a must have pair with RAW photo workflow. Lightroom allows me to effitently sort, edit, and process photos that help grow my business with fantastic results. "To create the most incredible photos"
The ability to upload and cull through multiple sessions or a single wedding in a matter of hours has changed everything. Once I choose the photos, I can batch edit general changes. It even allows me to connect directly to Pixieset via their plug-in for easy upload and delivery to clients. It takes a bit getting used to. The set up is different that the classic Lightroom so it feels confusing. I also dislike that I can’t scroll left and right through photos one by one. Get the Adobe PS LR CC classroom in a book. It allows me to go through an entire day of sessions and set them up for editing in photoshop. It’s fixed issues with uniformity amongst image series. It also allows me to toggle between it and photoshop seamlessly so I can edit much more efficiently. "Great for a Photography Business"
I work in a photography studio where I am in charge of the editing. There are just a couple photographers here but they have multiple editing styles. So I love that I can manage all their editing styles with the presets. Long gone are the days are editing every individual one by one. With the presets you can edit in groups of photos. Also you can quickly jump from one preset to another. I love that when the photographer gets a better preset they can send it to the studio and we can utilize their new one and toss out their old ones. It's nice also to look at their preset history to see how their styles have evolved and changed over the course of their work. I dislike the fact that the new version is slower while viewing than the previous version. We have updated it pretty often and the consensus has been that the new version is still lower, it has better qualities such as the warping especially when someone it utilizing a wide angel lens, we can just go in straighten lines, but speed is always a plus in the photography industry. The camera raw files are huge and they take awhile to load and process so the faster that a program can do the things it is suppose to, then the better it is and the more we'd love to work with other products that the company has to offer. If you find yourself wasting a lot of time editing your albums, this will help you tremendously, use this on about 99% of all the editing work we do on our photographs. If you get the photographer subscription photoshop is bundled with it for only 10 bucks a month. Thats cheap! We can send out images faster due to bulk editing and also we can send out more. Since it so efficient as basic editing we have the ability to send out clients more images to choose from and also more images faster. When you fulfill your clients requirements in an expedite manner they are always grateful and it makes you look professional, timely and good in their eyes. I love Lightroom. My favorite feature is the ability to sync your library across multiple devices making it easy to access from your laptop, your phone, your iPad, whatever. It's fabulous. The syncing featuring makes it easier to use Lightroom while traveling or on the go which is great for photography in the field. 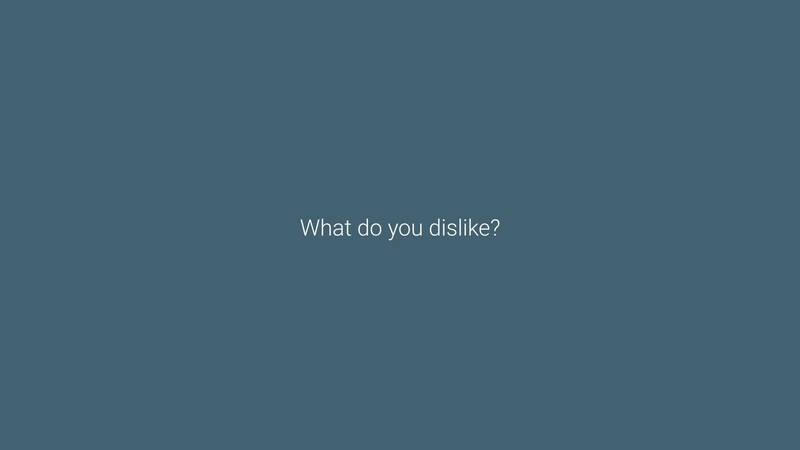 There's not much to dislike. However, I do struggle with Lightroom recognizing more than one Library which can cause major issues for the program. Currently, I do a majority of my photo editing in Lightroom. Between Lightroom and Photoshop, you truly don't need any other programs for your photography editing. You can perfect product shots, edit lifestyle shots, remove imperfections, do it all. "Useful in the right Application"
I like that it's easy to use for a beginner into photo editing. It's good for editing large quantities of photos. Its helpful as a photo organizer to then bring into Photoshop and do more intricate edits. Not a big fan of the preset function. I wish it was more intuitive. I wish there was an easier way to stack effects and then show which effects have been applied. If you're looking for basic editing for a large quantity of photos this product is for you. If you need anything more than basic, Photoshop is going to be your best bet. Easy to batch edit photos if I know they all need similar edits. I do freelance photography that often involves going through and organizing large amounts of photos. "Adobe Lightroom for Wedding Photographers"
Lightroom is a great tool for anyone looking to apply basic edits to a large batch of photos very quickly. Lightroom CC adds capability of syncing catalogs between different devices via Lightroom, and improves some of the basic features such as masking and selective edits. Certain mass editing features could be worked on to improve ease of consistency between images, such as auto exposure and auto white balance, and matching/correcting exposure between two RAW files (from the same shooting situation but with different initial exposures). Give it a try using the free month trial through Adobe CC. Fantastic tool for wedding photographers looking to apply basic corrections or a stylistic filter to a lot of photos very quickly. Allows for greater quantity delivered in a short period of time, and is fantastic for syncing catalogs across users and devices. "Easy to edit a ton of photos at once - I have no idea how photographers did it before Lightroom!" It makes adjusting the lighting of shots a breeze. You can easily apply your own style of photography to an entire photoshoot at once. The exporting options are robust. You can sync edits across similar files. The whole thing is just one magnificent program! It's slow. I have a decent computer, but the program still feels sluggish. Photos can take a moment or two to load to preview. Give yourself adequate training to familiarize yourself with the program. It was a pain for me to start right in without that initial training. It would take me forever to edit an entire photoshoot in photoshop. I have no idea how it didn't drive me batty. It saves me a lot of time even though I'm not primarily a photographer. What's not to like? Much easier for the amateur photo editor than Adobe Photoshop, this is a great program that many Photographers/editors of all skill levels can rave about. Top uses for this program: color adjustments, lighting/exposure adjustment, and the ability to print and export hi-resolution images which can be used for downloading, sharing, etc. Another great thing about it, if you need more advanced editing ...it can be integrated across other Adobe programs such as Photoshop. The tool overlay function is a pet peeve for me. When using the spot removal tool (clone & heal), the tool overlay can be a little frustrating when you are trying to edit out a variety of spots, especially when whatever you are trying to edit is really close together. You can't go wrong with this one, but if you need more advanced photo editing capabilities you will likely want other programs in the creative cloud suite as well. Many business-related and creative tasks can be completed with Lightroom. It's great for small business application as well as large scale creative areas. As far as Photography, I've seen it used not just as a program for editing photos but also as a way to share presets (kind of like an editing template) among other Photographers/editors...which you can share for free or for a fee. It can also be used for slideshow presentations, print media (books, photos), and web-based applications. "Creating the look you want when you cannot get it from the start"
The ability to adjust a photo from the Camera Raw file allows you to change many thing from shadows, to exposure and highlights. This is much easier to start in light room than in Photoshop. it is also very quick to watermark photos. I am still earning all of the features but online tutorials have been very helpful when doing so. It is very easy to pick up. I don't like that every time i go to transfer my photos from a device or memory stick it automatically opens light room first. If you are editing photography or watermarking photos I would highly recommend this program. It also organizes the files easily for you when you open them in Lightroom. Online tutorials have been very helpful for me to teach myself this program. Very easy to us. I am mainly using this to edit Camera raw when the lighting is not exactly how i like it and also to watermark event photos with logos. * We monitor all Photoshop Lightroom reviews to prevent fraudulent reviews and keep review quality high. We do not post reviews by company employees or direct competitors. Validated reviews require the user to submit a screenshot of the product containing their user ID, in order to verify a user is an actual user of the product. Hi there! Are you looking to implement a solution like Lightroom?